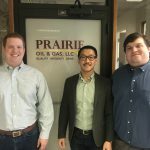 NORMAN, OKLA. – Prairie Oil & Gas recently hired three title managers: Jason Fry, Jonathan Holly and John Kim. As title managers, they will oversee the workflow, reporting and training of Prairie’s title land men. They will review title reports for quality, accuracy and efficiency and work closely with land men to improve and expand their skills. In addition, Prairie Oil & Gas is growing in 2018 by promoting 27 contractors (1099 positions) to salaried (W-2) positions. Twenty-one will become full-time salaried employees, while six will work in part-time positions. 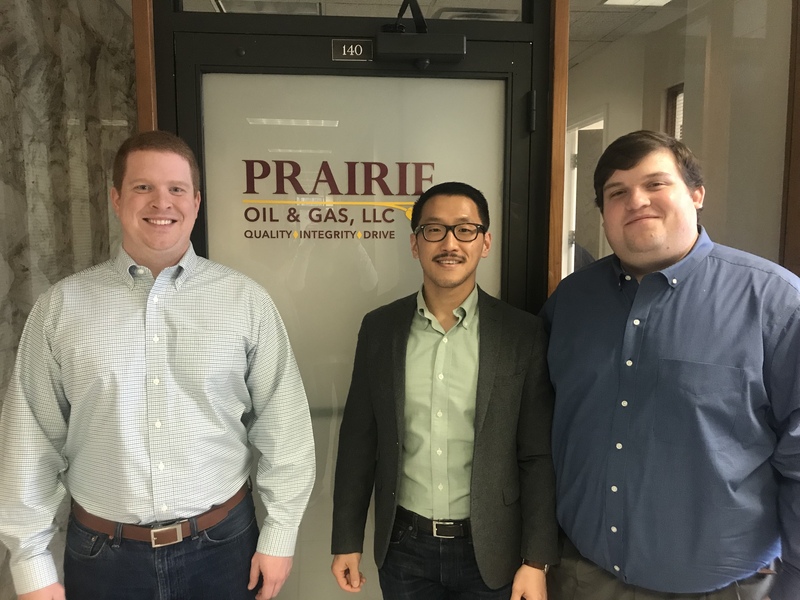 The new title managers are joining Prairie as full-time employees, as well. Hobbs founded the company with Tyler McKaig in 2015 with an emphasis building positive relationships within the industry – putting people before profits. Fry joins Prairie after working as an independent land man for four years for Blue Baron Energy. He was primarily focused on the Permian Basin. He graduated in 2012 from The University of Oklahoma with a BA in journalism. Holly is also a 2012 graduate of OU, earning a BBA with a major in energy management and minor in marketing and finance. He served as a project manager at MidCon Land Services, managing more than 20 land men in three states for multiple projects and clients. Holly has experience running title and determining mineral ownership in West Texas, Oklahoma, Colorado, Kansas, and West Virginia. Kim’s previous experience includes practicing law at Jennings Teague, P.C. in the areas of products liability and insurance defense; working as a land man for several companies, including Turner Oil & Gas; and serving as a contract title attorney for Stuart & Clover. Kim earned a BA in Political Science from OU in 2010. He received a JD from Oklahoma City University School of Law in 2013.